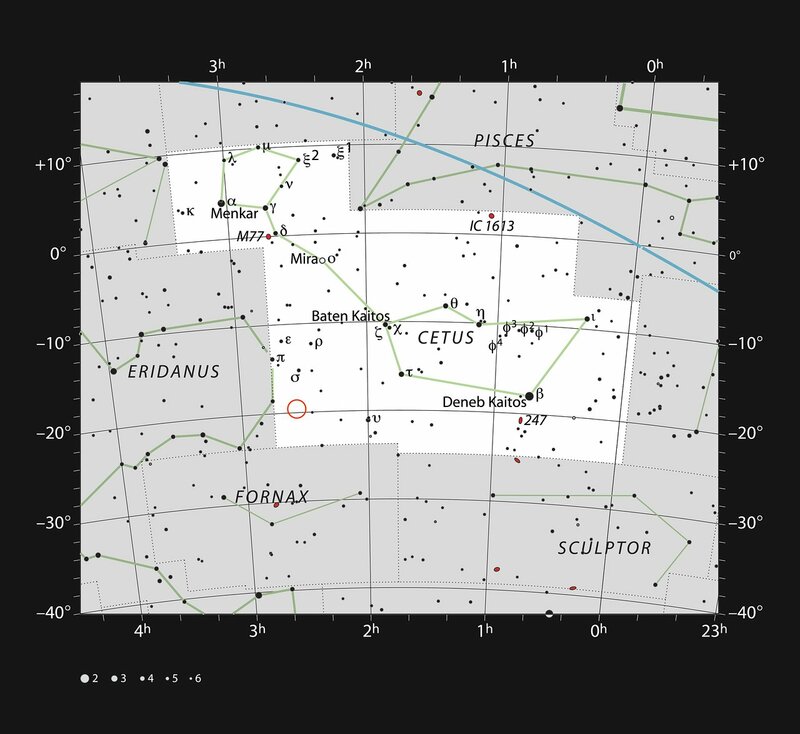 This chart shows most of the naked eye stars visible in the large but faint constellation of Cetus (The Whale). The location of the star HIP 11915 is marked with a red circle. It is too faint to be seen without optical aid, but can be picked up with binoculars. A Brazilian-led team has found that this solar twin star is orbited by a planet similar in mass and orbit to Jupiter in our own Solar System.